People nowadays are into something very unique and eye-catching because its everyone’s desire to get in to the center of attention and get’s everybody eye. Zalgo text provides you the facility of converting the normal text into something very unique. The basic aim behind the Zalgo text generator is that people must not fed up with the old fashioned text and variations. 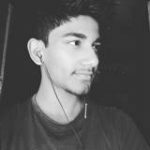 Instead of getting bored and making your day off with a bad mood, you can enjoy converting your text in to very classy text which can up-lift your mood and make your day awesome. We are about to tell you the best top 5 website to convert your text into Zalgo text and guess what it’s no less than a treat. There are a lot of fancy text generators in the market who often says that they are the best but according to our research and tests taken on the different modules of Zalgo text generator, we have ranked out top 5 websites who are worth your attention. Without wasting further time, let’s head towards the website names! Fancy text generator is at the top of our list because they provide 100% best user experience rate and 100% satisfaction to their user when it comes to convert the text into Zalgo text. Not only they offer your Zalgo text but you can convert your text into following different texts. Our second candidate for the best Zalgo text generators are EEEMO.Net because the whole website is designed for only Zalgo text generator and you can just simply copy and paste your text in to the conversion section and then click on the convert button. And you’re done! They also provide you toggle reference sheet as well, from where you can select the text and use as an example in your text. Examples are the main reason behind why we have listed them in to second number and the user conversion rate is also good. You can check and enjoy them. 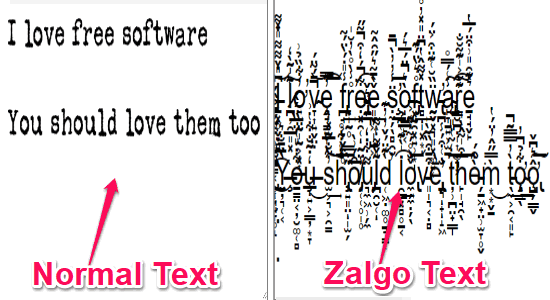 Zalgo Text Generator is our third candidate for the best 5 Zalgo Text generator because not only they provide your Zalgo text generator option but they also have bubble text, upside down text and heart symbols text which makes them different from others. You can simply convert your text by copy pasting the text and you can directly share the text to your social media accounts as well. There’s a guideline as well that “How to convert your text into Zalgo Text” and this is why they are our favorite candidate. With a beautiful user interface and eye-catching website, this tool of generating the normal text into Zalgo text is what everybody’s looking for. Fsymbols.com has made it to our list of top 5 website and you won’t regret it once you go to their website for the conversion of the text. They provide you fancy text, cool and wavy text as well, plus they provide you the option of sharing your text directly to your social media accounts. This website surely is very addictive and worth your precious time. A very simple but yet attractive website for the conversion of normal text into Zalgo text has made it to our top 5 websites for the conversion of normal text into Zalgo text. You can check the website by visiting them and you surely will like them. All you have to do is that, copy and paste your text and then click on the convert button to get your desired result.